Tibet – one of the holiest places in the world. Place where people are keeping many ancient secrets and possible technologies from extinct civilizations. The energy on this holy place is much more different then the energy on the other holy places in the world. A group of scientist from the university of Berkeley – USA came up with conclusion that the DNA of the people from Tibet is much more different from the DNA of the people around the world. Some of the most famous legends of this place are passed from mouth to mouth for centuries.One of them is that about the Somati , which are in a deep trance , mystical sheltered in caves high in the mountains of certain meters altitude. They are protected by strong energy fields that do not allow outside people to come in. They allow their state of almost eternal meditation. Many priests here can live without food and water for a long time – draining only the energy of the sacred place. Their vital processes are slowed to the minimum necessary to sustain life in the body. They look like living dead. Death seemed to reach some of the monks who indulge in deep meditation , but according to Tibetans They just meditate at a higher energy level and therefore look like dead , but in fact they just sleep. They are able to sustain anabioza , but their bodies do not decompose and are kept as sacred in monasteries. 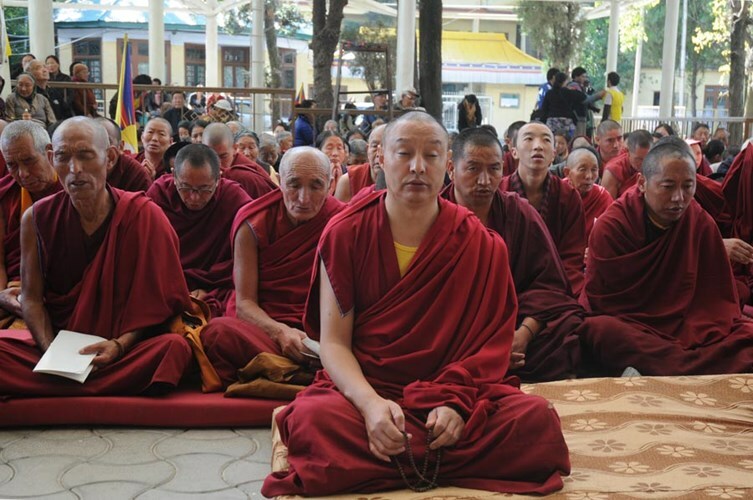 One of the most popular examples of state of anabioza is the meditating Lama in Buratia –Dashi-Dorzho Itigilov. It is believed that the Lama has been dead for 100 years, but other lamas of the oldest Buddhist monastery in Russia, speak of him as a living person. Itigilov left a testament asking to be buried as he was at the time of his death, sitting in lotus posture. 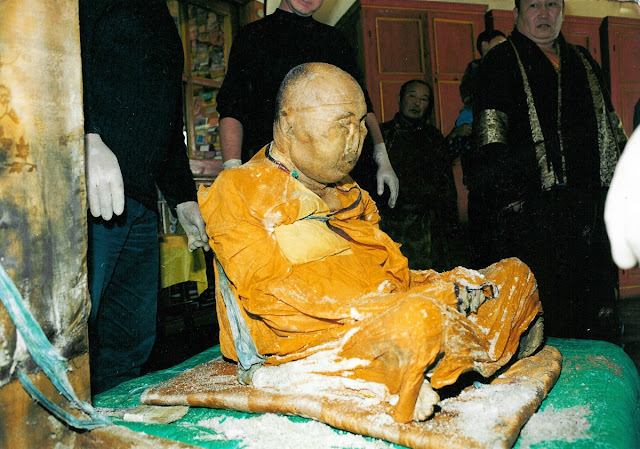 According to his wishes, his body was put into a pine box and interred at graveyard for the lama burials. One of the testament clauses stipulated that his body should be exhumed by other monks within several years. The Buddhist monks approach him as a living person and shake hands with him. Some devotees even claim that Itigilov is still alive, only immersed in a hibernation- or nirvana-like state. A large percentage of the people believe that Tibet is hiding secrets of unknown ancient civilizations long time gone from the face of the Earth, including ancient alien creatures, portals to other dimensions and secret teachings to improve human.